From Slips and Trips to Floor Mishaps and Oh Crap! Best Flooring LOL: From Slips and Trips to Floor Mishaps and Oh Crap! Getting, a flooring sale and installation soon? When you visit the flooring store, ask about the latest flooring sale and installation estimate details for next day delivery. One woman asked for new vinyl floors, and her husband had the dining room paved with old vinyl records. Oh, you! 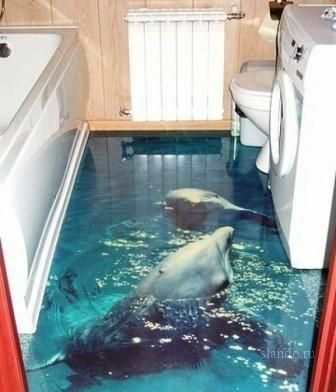 Another cool flooring request was for a 3D floor image of dolphins swimming in the water. Lifeguard! 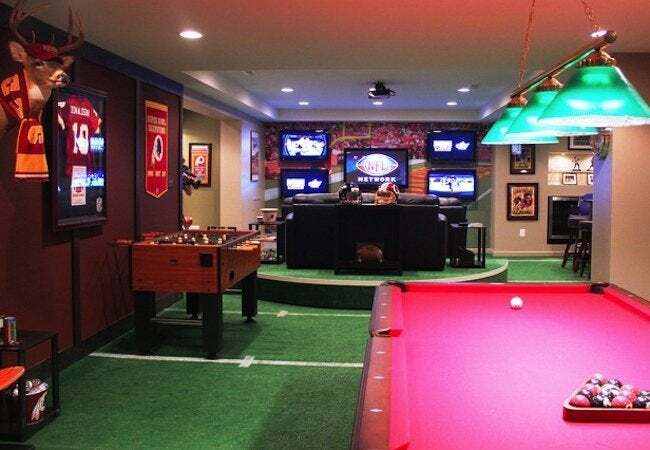 A favorite is the dad that turned his den into the 20-yard line. No foul on this play. Yup, these images floored us, too! If you’re shopping for discount flooring? Arizona residents can take advantage of Express Flooring’s flooring sale and installation deal for $500 off new flooring. Shop now! There’s the adorable German shepherd pup that can’t stand up on new tile flooring. Clearly, based on his performance, he prefers carpeting. There’s also an adorable Shiba Inu who loves her Berber carpet. (No remote control cars were harmed in this clip – sort of). Then there are the hilarious dogs and puppies navigating hardwood floors (not)..
Have your own funny flooring story? We’d love to hear about it! Looking for a flooring sale and installation price? Express Flooring can be reached at (602) 833-0606. Take advantage of our current promotion when replacing old flooring. This entry was posted in Carpet Flooring, Flooring, Hardwood Flooring, Home Improvement, Laminate Flooring, Tile Flooring, Vinyl Flooring and tagged Flooring, Flooring Slips, Flooring Trips on November 19, 2018 by Express Flooring.